Color code your inventory, bins or assets. 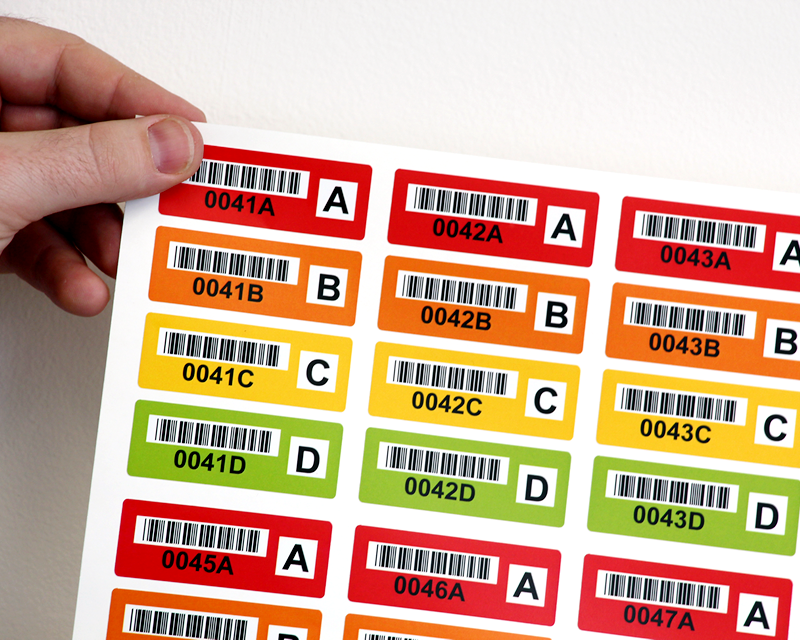 Colored Barcode Labels allow you to effectively organize your assets and inventory. Use a different color to tag distinct asset categories. • It's easy to design professional labels with built-in color coding. We offer both 4-part and 5-part label designs. • Aggressive adhesive sticks to most surfaces. 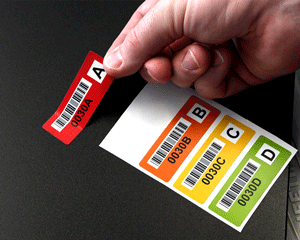 Plastic labels outlast weather, humidity and abuse. Removable labels are also available. 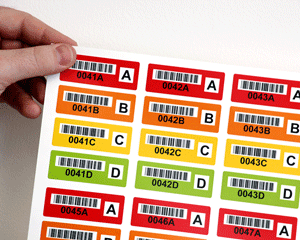 • For more designs see our full range of custom barcode labels. These can be ordered in full color. We offer hundreds of templates that can be easily customized. Click here to find more.